Aviation Updates Philippines - During the Papal Visit in Manila, flights arriving at the Ninoy Aquino International Airport will be disrupted after the Civil Aviation Authority of the Philippines said that there will be limited airport operations. 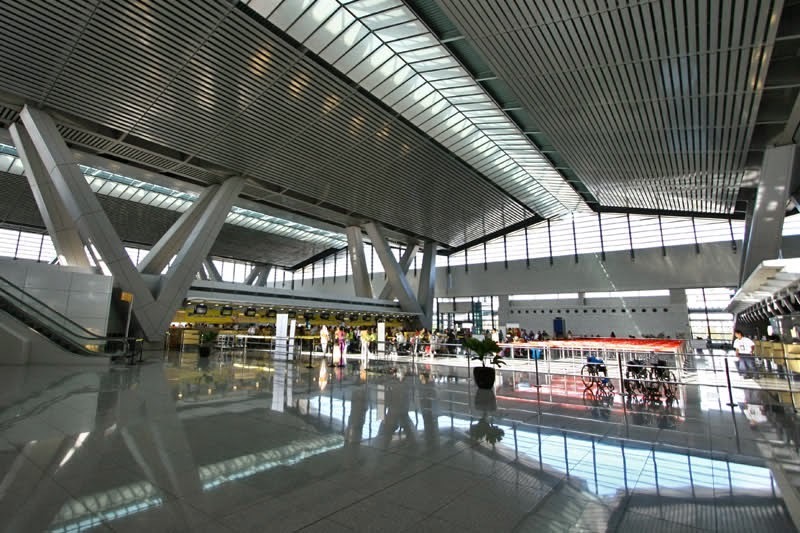 The NAIA Terminal 3 and Terminal 4 will be closed due to the closure of roads leading to the two terminals, an official said. According to the Manila International Airport Authority (MIAA) General Manager, Jose Angel Honrado, the NAIA Terminals 3 and 4 will be totally isolated due to the planned five-hour closure of roads leading to Villamor Airbase where the Pope will land on January 15 and depart on January 19, a report said. All arriving flights in Manila will be suspended in January 15 from 2:00 PM to 7:00 PM and January 19 from 6:00 AM to 10:30 AM. "Departure operations will however proceed for those flights with the corresponding aircraft on ground before the effectivity of the road closures," MIAA said in a report earlier. Shuttle buses will be provided for passengers with flights in NAIA Terminals 3 and 4 as they will be inaccessible from the usual routes. The shuttle buses owned by NAIA will carry passengers to NAIA Terminal 3 and Terminal 4 via airside road network. Before the road closure hours, Terminal 3's departure and arrival lobbies will be closed to non-passengers. However, an official of the Manila International Airport Authority gave options to rebook, cancel, or to just "join the flow" for passengers flying to and from NAIA during the arrival and departure of the Holy Father, Pope Francis. MIAA's officer in charge of the public affairs division, Ma. Consuelo Bungag, said that on the first day, the Sales Avenue up to the Andrews Avenue; from the Domestic road to the Park and fly; and from the MIA road up to the Roxas Boulevard will be closed from 3:00 PM to 7:00 PM. The same roads will be closed on the second day from 7:00 AM to 10:00 AM. The runways of the Ninoy Aquino International Airport, both Runway 06/24 and 13/31 will be closed for all arriving aircraft while departing aircraft will be allowed to operate from 2:00 PM to 5:15 PM, the Civil Aviation Authority of the Philippines said. Meanwhile, the Daniel Z. Romuladez Airport in Tacloban City will be closed to all air traffic from 6:00 AM to 9:00 PM except the aircraft that carries the papal entourage. Both NAIA's runways will be closed from 7:45 AM to 8:45 AM and from 5:45 PM to 6:45 PM when the papal flight return from Tacloban. On the Pontiff's last day in the Philippines, the Ninoy Aquino International Airport will only allow aircraft to depart from 6:00 AM until 9:30 AM. From 9:30 AM to 10:30 AM, there will totally be no ground movement as the Pope will depart for Rome with a Philippine Airlines' aircraft. Flights will continue as scheduled when the closed roads will be opened. *See the Pope's Philippine Itinerary here. my family is flying back to manila from london via PAL arriving on January 15 scheduled 2pm. what's gonna happen with our arrival flight in terminal2? should we rebook? Don't worry! As stated on the official list of cancelled flights, no London flights will be affected on January 15.